We laughingly obeyed our Bible study leader, Mike, by tramping around in garden near our church building. We walked in the grass and pebbles and dirt—all this while barefoot, of course. We shook our heads in bewilderment and marched around the building, nonetheless. None of us could figure out why Mike wanted us to do what sounded like a joke or something seemingly meaningless. Once he declared that we were finished, we walked back inside the building in our dusty feet. Jesus had all this power from the Father and what did He do? He washed feet that were filthy and disgusting from all the walking that was typical in that day. It was not thought of, it was not the norm, it was not done, for a man to serve his fellow man like this! That job belonged to the servants. Yet, Jesus went above and beyond what was expected and what was done, and lovingly served His disciples. 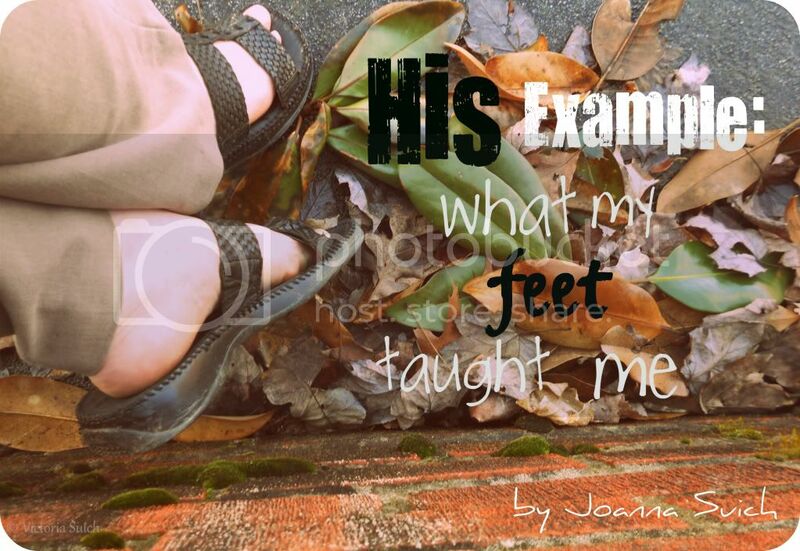 Likewise, He wants us to be like Him, to “wash” the feet of people around the world, to be a servant of all people. Washing feet was a menial task––revealing Christ’s humility; a sacrificial task––demonstrating Christ’s love; an awkward task––exemplifying Christ’s obedience to the Father. The question is, are we willing to follow in His footsteps? Are we willing to love even when it’s difficult, obey when it’s awkward, and do the mundane work? Elisabeth Elliot once asked, “Does God ask us to do what is beneath us? This question will never trouble us again if we consider the Lord of heaven taking a towel and washing feet.” Christ calls us to do that, as He did. Thank you so much Joanna for posting this!This article really spoke to me. It is such a great example of serving others. Keep up the great articles!